Although Christmas can often take on more of a non-traditional feel in Las Vegas it can still be fun to dress up your home for the season. From making your desert home feel like a winter wonderland to embracing the Las Vegas scenery, we have some great ideas to help you get your home feeling festive. Start with Your Table - Your dining table is where everyone gathers to celebrate, so why not start there. Dress it up with some colorful placeholders, candles and if you are going for a white Christmas theme, a beautiful snow globe. Head to the Mantel - If you are lucky enough to have a mantel in your home, why not dress it up for the holidays. Start by stringing some LED lights either on top of the mantel or along the bottom. 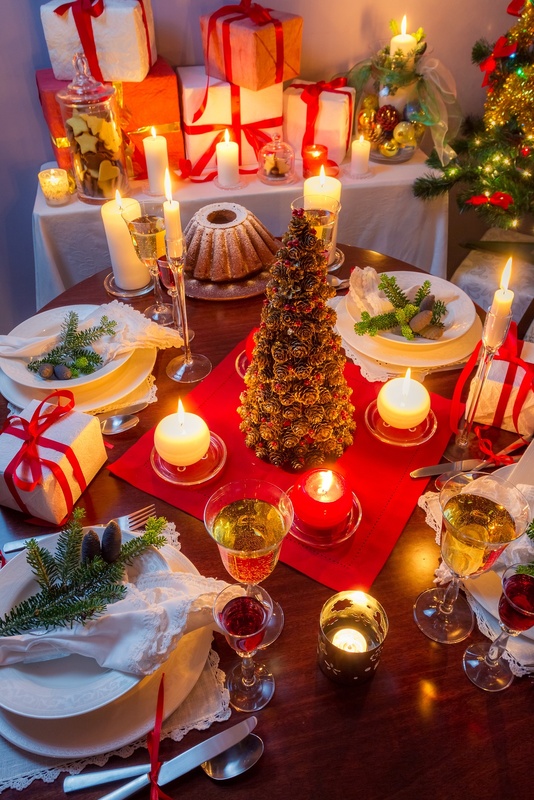 Add some candlesticks, fake greenery, and other small holiday items you love. Lots of Lights - Nothing brings the cheer of the holidays to life more than lights. Bring out candle holders, wax melters, strings of lights and small lamps. You can also add lights to any large indoor plants you have and don't forget the outdoor areas of your home. Make it Feel Cozy - There are lots of ways you can make your home feel cozy. One way is to add window shades. You can block out the light and sun's warmth leaving your home feeling cooler or cozier. On chillier days open up the blinds and let the sunshine in. Add a Wreath - If you have a prominent painting or piece of artwork in your home, replace it with a wreath. You can buy a fake one from a craft store or buy a fresh wreath. If you buy a fresh wreath remember in our climate it will need regular spritzing. Decorate the Tree - A holiday tree is a great way to bring those happy feelings into your living space. Use sparkling lights and decorations in your favorite colors. You can pull the whole look together by incorporating the colors on your tree throughout your whole space. Now that your home is ready for the Holidays, you can sit back and enjoy the festive feel. If you are looking for window shades for your Las Vegas home, contact Polar Shades at 702-260-6110 today, for your free in-home consultation.